LOS ANGELES, Calif. - Vincent Lecavalier is ready for one last run at the Stanley Cup, and the Los Angeles Kings are giving him a chance. The Kings acquired Lecavalier and defenceman Luke Schenn from the Philadelphia Flyers on Wednesday in a trade for centre Jordan Weal and a third-round pick. After playing sparingly for the Flyers over the past two seasons, the 35-year-old Lecavalier plans to end his 17-year NHL career this summer, according to Kings general manager Dean Lombardi. But the once-dominant centre hopes to go out with a deep post-season run, and the Pacific Division-leading Kings are prime contenders for their third Stanley Cup in five years. "Vinny, at this stage of his career, it's all about getting one last chance to win it all," Kings general manager Dean Lombardi said. "I think he's hungry, and given his mindset, I think it's a potentially great fit in his role." Lecavalier has been a healthy scratch for much of the season, appearing in just seven games while his career apparently wound down with the struggling Flyers. Yet he also is a former Richard Trophy winner as the NHL's top goal-scorer and a 108-point scorer who won the Stanley Cup with Tampa Bay in 2004. He'll have a chance to fill a significant role down the middle with the veteran Kings (25-12-2), who are in first place in the division and second place in the Western Conference. "There's nothing better than to be on a team that's been there," Lecavalier said in a phone interview conducted by the Kings. "If you look at the standings and where they are right now, they're obviously playing some great hockey. I know the Kings have high expectations for the players, and I love that. ... Just to be a part of that, it's very exciting." TSN Hockey Insider, Bob McKenzie joins Dave Naylor and Bruce Arthur on TSN Drive to breakdown the Kings acquiring Luke Schenn and Vincent Lecavalier from the Flyers and discusses why the Kings would make this move, if this trade is an indication of how tight the NHL trade market is, and Mike Richards signing with the Capitals. Lombardi said the Kings couldn't have made the deal without Lecavalier's assurance that he plans to retire this summer. Lecavalier has two years left on his contract, and Los Angeles needs the salary cap room to sign several key players for next season, including star centre Anze Kopitar. "We could give him what he wanted, which is a serious shot at going out as a winner, but we could not make that commitment going forward," Lombardi said. "It kind of fit where he was with his career and his life." Lombardi confirmed the Flyers will pay 50 per cent of the salaries for both Lecavalier and Schenn, clearing up their own cap space in the process. Los Angeles won the Stanley Cup in 2012 and 2014, and coach Darryl Sutter's club has rebounded impressively this season after missing the playoffs last spring. The Kings have a history of getting revitalized efforts from veteran forwards, including Jeff Carter to Marian Gaborik, during their championship runs. Lecavalier, who scored at least 20 goals in 13 of his first 15 NHL seasons, has 932 points in 1,170 regular-season games with the Lightning and the Flyers, who signed him as a free agent in 2013 after 14 seasons with Tampa Bay. The Lightning's No. 1 overall pick in 1998 scored a modest 37 points in his first season with Philadelphia, but has just 21 points while playing in only 64 games since. 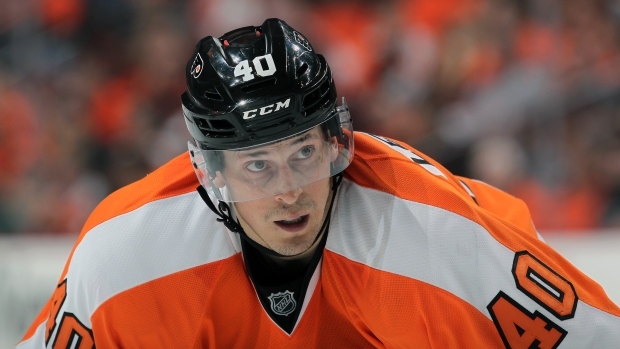 Lecavalier signed with the Flyers partly for the chance to play in the system of coach Peter Laviolette, who was abruptly fired three games into Lecavalier's first season. Although Lecavalier contributed to a playoff run in 2014, he was a healthy scratch for the first time in his career on Dec. 2, 2014, and his fortunes never recovered in Philadelphia. Schenn, who has two goals and three assists for the Flyers, will be an unrestricted free agent this summer, but his right-handed shot could fit in well on Los Angeles' blue line. He is the older brother of Philadelphia forward Brayden Schenn, traded from Los Angeles to the Flyers in 2011 in a deal for Mike Richards. Pierre McGuire talks about the Habs loss to Philly, Vincent Lecavalier's trade to LA and Mike Richards signing with the Capitals. Lombardi also confirmed veteran defenceman Matt Greene is out for the season after undergoing shoulder surgery early last month, and he expects Schenn to provide some of the toughness lacking in Greene's absence. The 23-year-old Weal is scoreless in games with the Kings this season, making his NHL debut in October. Los Angeles assigned defenceman Derek Forbort to its AHL affiliate in Ontario to make room for the newcomers.